Why Nathula Road trip should be in your travel bucket list this summer? Documents required: Photocopy of a Government approved ID card and 2 copies of passport size photograph. Permission seeking: You can seek permission by providing the documents to a travel agent or by requesting at your hotel reception. Waiting time: Permission is usually granted within 24 hours. 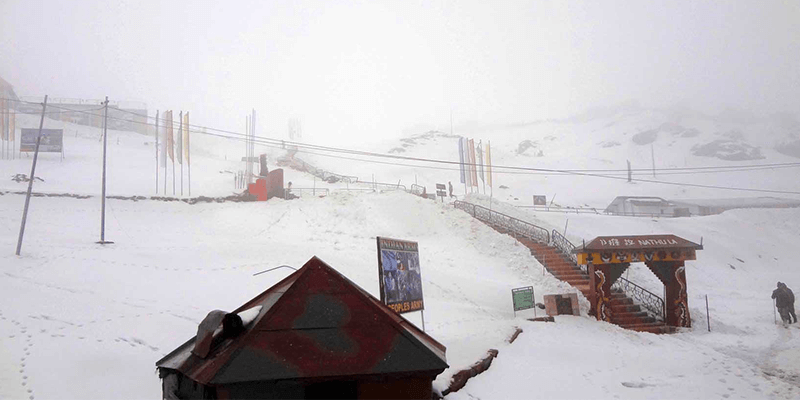 Dressing: No matter what temperature you witness in Gangtok, be sure that it will be chilling in Nathula. So, carry adequate winter garments during the trip. Cab hiring: Shared cabs are available from Gangtok, but they offer less flexibility to the travelers. 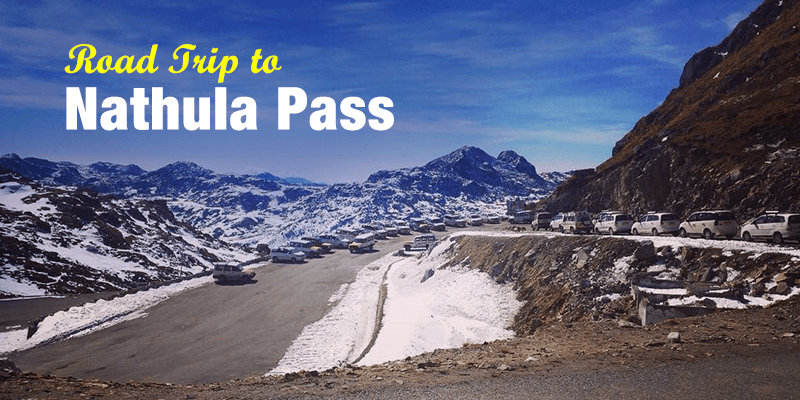 The ideal way to explore the roads of Nathula Pass would be to hire a SUV vehicle for yourself. The driver should have good experience of driving on roads with blind bends and sharp turns. 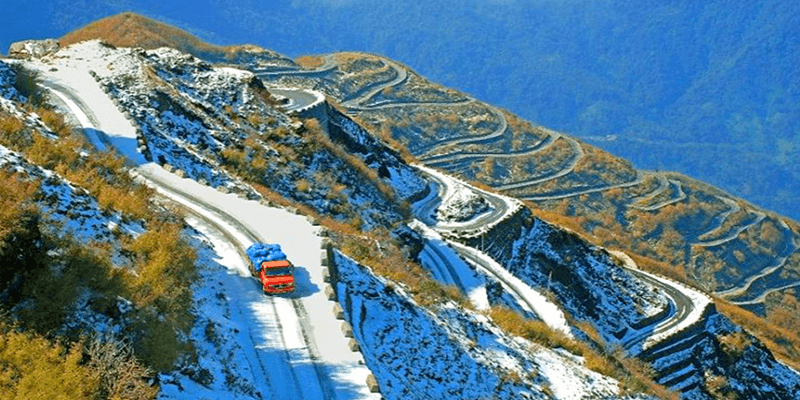 A trip from Gangtok to Nathula Pass is a daylong affair. The trip starts from the green environs of Gangtok. You start seeing the familiar hill top houses weaved in sequence. As you drive away from the city limits the small scenic villages start appearing one after the other. Soon you encounter the Teesta River gently flowing through the woods. As you travel ahead through the frequent turns, the hills greet you with myriad shades of brown, contrasting very well with the blanket of white snow. And then finally, the much coveted snow finally makes its appearance with the multi-colored Yaks looking like colorful decorations pasted carefully on the palette. As you approach the Pass you will find many Indian army vehicles speeding past. At times you might also come across some trucks with Chinese writing. These are carrying all those Chinese goods that would soon hit the Indian markets. 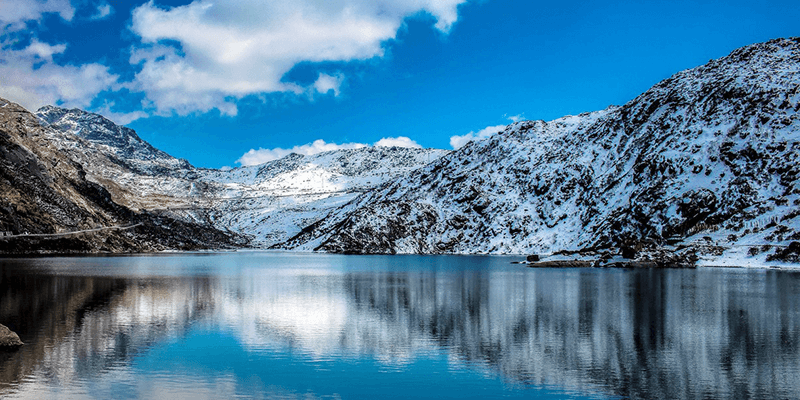 Tip 1: Do start your journey early in the morning and return back to Gangtok by 4 PM. Tip 2: When the opportunity presents itself care to taste some of the warm noodles or Thukpa available at the roadside food stalls. They are really delicious. As you make your way from Gangtok towards Nathula Pass, this is the first tourist destination that would come up. The lake remains frozen, most times of the year. Surrounded by steep mountains and snow-clad peaks, Tsmogo Lake is a very picturesque location and perfect for a Facebook DP click! Once you have clicked some memorable pictures, it is time for Yak rides. Yaks are fluffy creatures that are the local version of cows! You would find many locals willing to offer Yak rides at trivial costs, they would even click pictures while you pose on the Yak’s back! Twisting and turning roads soon lead you to Nathula Pass. Even before you reach the actual border post, your heart is filled with a sense of patriotism. The speeding army trucks set up the mood and their artillery equipment lying on the roadside remind you that an international border is close by. As you reach the border post, you would have to climb a flight of stairs to reach the main Line of Control. The air is really thin here, so climb the stairs at a very leisurely pace. At the LOC you would find a golden chain and a barbed wire separating the two countries (India and China). You might see the Chinese military personnel keeping a vigilant eye on your movements. You can wave at the Chinese tourists on the other side of the border. As you take a 3600 view of the surroundings you can witness the snow clad peaks of China in the remote distance and the hills of India with “Bharat Mata ki Jai” engraved on them. The Jawans guarding this post have to stay in adverse conditions just for the sake of their nation, and yet they are amiable enough to click some pictures with you. If you are feeling dizzy and facing altitude sickness, there is an army canteen available. Do visit it and refresh yourself before heading back. Beware: Do not make any fast movements while you are at the LOC. Tip: Do not linger around for too long, or you may suffer altitude sickness no matter how fit you are. 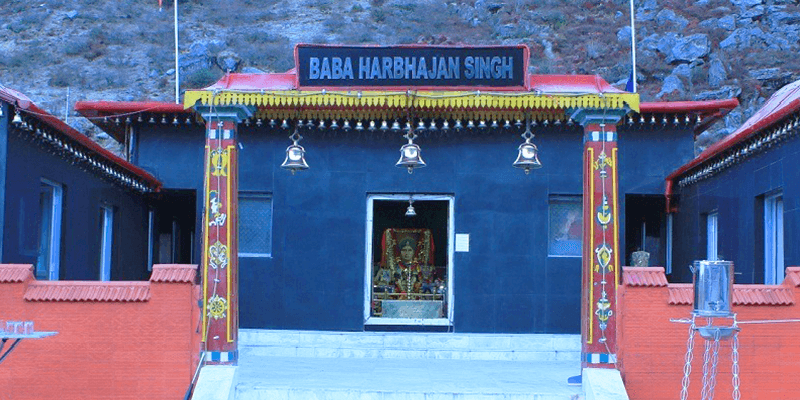 The last destination on your thrilling road trip to Nathula Pass would be the Baba Mandir. It is the temple of a deceased Jawan, Harbhajan Singh. It is believed that Baba Harbhajan Singh died at the tender age of 23 after he slipped and fell into a nullah. His body was discovered 2 days after he died. Nothing exceptional in the tale till now, right? Well, the twist is just round the corner. Some months after his death some Jawans saw a vigilant man with Indian army uniform riding on horseback and guarding the valley at night. Since then Baba Harbhajan Singh is believed to be on an unending vigil keeping an eye on his nation’s borders and Jawans posted there. Some Jawans are also said to have been slapped by this strict disciplinarian for showing negligence towards their duty! It is amazing to imagine that a Jawan is continuing his duty long after leaving the mortal world! Trivia: It is amazing to know that the deceased Jawan is still an employee of Indian army and gets his monthly pension. He also goes on an annual leave to his hometown in Kuka (near Kapurthala). And a seat in the relevant train is booked for him each year. Must see: Pressed uniform and polished shoes of Harbhajan Singh are kept within the main temple. As you turn back to Gangtok, finish this thrilling day with some shopping at M. G. Road market and have delicious Tibetan food for dinner. Next article6 best getaways to take your dad this Father’s Day! This is an awesome place for family tour. I am serving here for defense. Please come visit. I visited these place last week.I enjoyed amazing beauty of these place.Really exiciting experience.Do not miss the beauty.